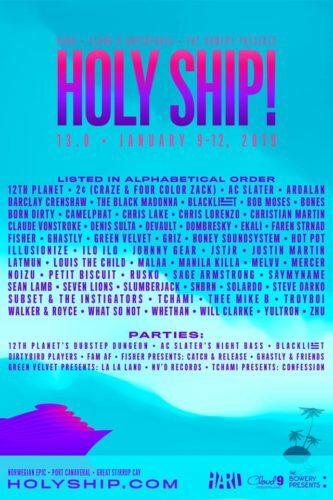 Holy Ship! is officially ready to set sail in the new year. The event is a double-weekend affair with completely different lineups. The first weekend is January 5-9 of 2019 and the second weekend commences right after on January 9-12. 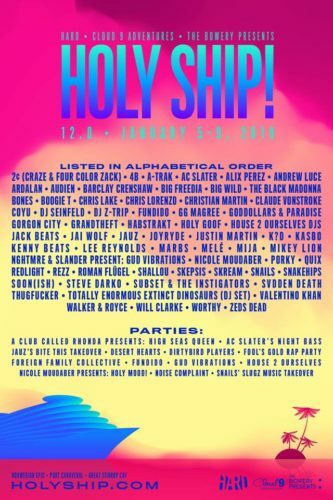 These weekends of Holy Ship! represent the 12.0 and 13.0 versions of the event, respectively. With each version having it’s own stacked lineup, attendees are sure to have a blast. In addition, there are special late-night parties as well. Check out the lineups for each weekend below. To get additional information about the events and to purchase cabins, check out their website.